Bring an extra touch of class to your news, blog or event site with Weather, a full-featured but easy-to-use module that can display updated weather information with classy icons and text and a range of extra information for a location of your choice, brought to you direct from Yahoo! Weather. 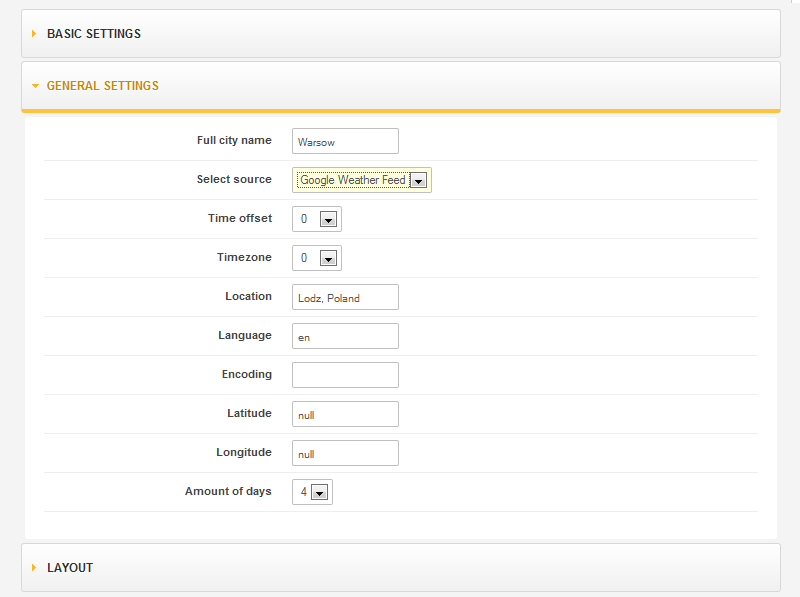 Indulge your inner meteorologist with our Joomla Weather module. Despite all our technological advances, it's still hard to get an accurate weather reading. 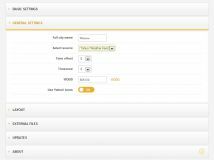 With this useful module you can save your customers being caught out by a unexpected storm with regularly-updated predictions and current conditions. 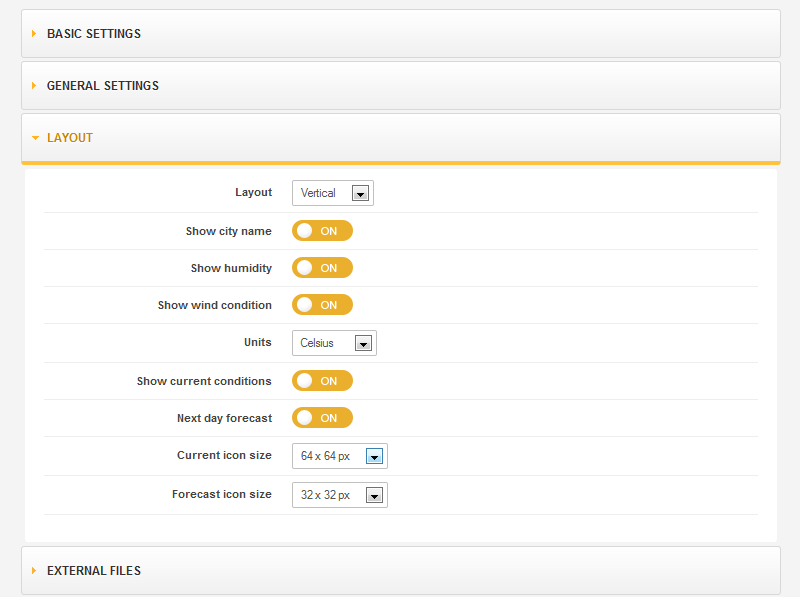 Whether you want to display current data or forecast for future days, you have the options and the power to get what you want, and a beginner-friendly settings screen so you can be ready to report in minutes. 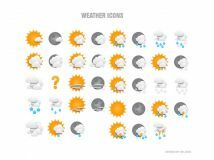 Let your users know the state of the weather in seconds with crisp icons that are easy to follow. Set your preferred location, and let the module do all the hard work for you. Want users to be kept up-to-date with any changes? 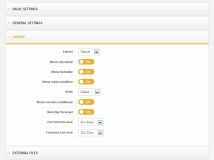 Additional forecasting blocks provide predictions beyond the current day, with flexible settings for powerful customization. Set for just the next day, or extend beyond for the rest of the week; the choice is yours. 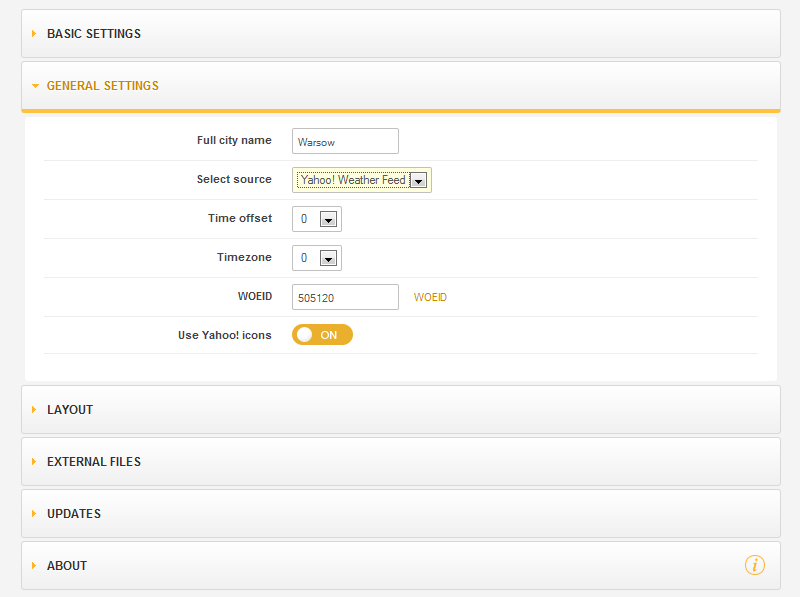 You're not just limited to weather; this module includes the ability to pull additional data from your chosen source. Current and predicted temperatures through day and night, highs and lows, humidity and wind speeds; the kind of info that can make or break a trip decision that your users will be grateful to know. Don't want this info to show? 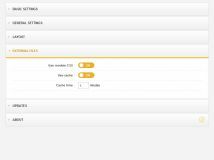 Simple toggle options give you control over what data is shared, as well as extras like whether temperatures should be measured in celsius or farenheit; you don't want to confuse your local audience after all! Weather are supported and auto-updated so your weather information is fresh. Yet though these services are solid and dependable, there's always an occasion that they might go down briefly. To prepare for this, Weather includes an auto-backup option that regularly stores data; if the connection to your services goes down, previously-saved info is automatically loaded in its place until services resume. 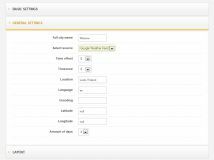 Piece of mind for you, and functionality for the frontend user! You'll no doubt want to add a personal touch; providing updates for your home city, changing icon sizes, choosing what information to share, or even adding your own CSS styling. 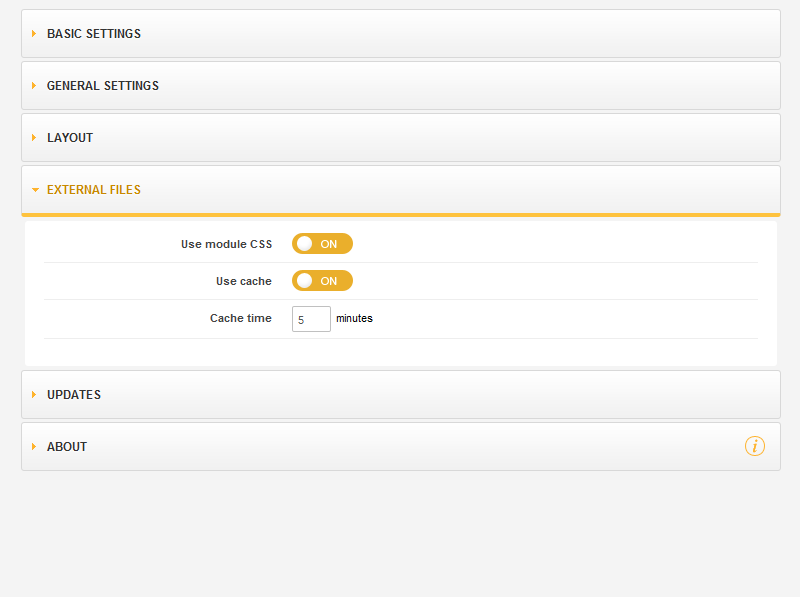 This module is ready to go, with comfortable tabbed settings that are cleanly-designed to appeal to all skill levels. You'll know what to do and how to do it with ease, making for an easy-to-build weather block that will have a unique edge. Free to download and use; get your weather report in today! Available to use without any cost, subscription or other charges, there's no reason to hold back. Get your weather module now and start enjoying the excellent features on offer today. 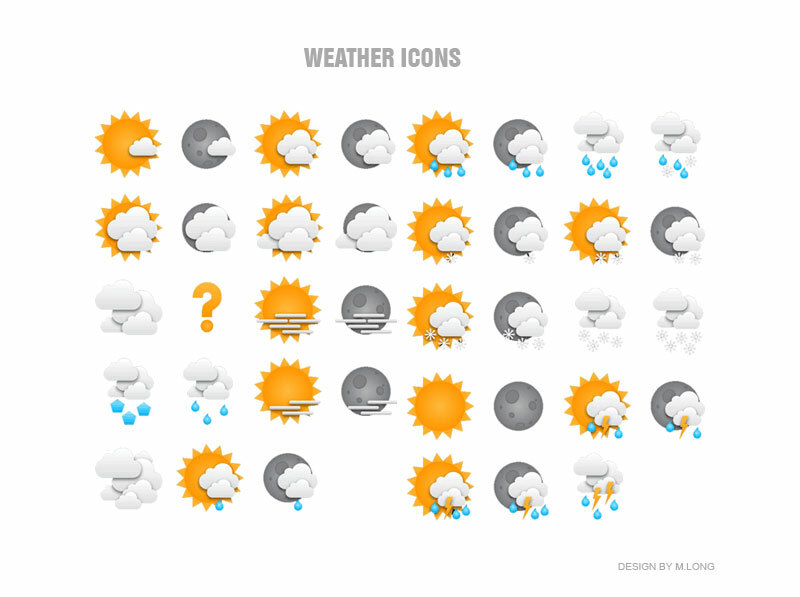 Added new Meteocons iconset with light and dark color variant.